Last month we hosted two workshops in one week! At the beginning of the week we held our first-ever Fractured Jacket workshop where participants created a reverse applique Chicago Jacket. At the end of the week we held a Berwick St. Tunic class, where we saw some fun variations on our newest pattern. 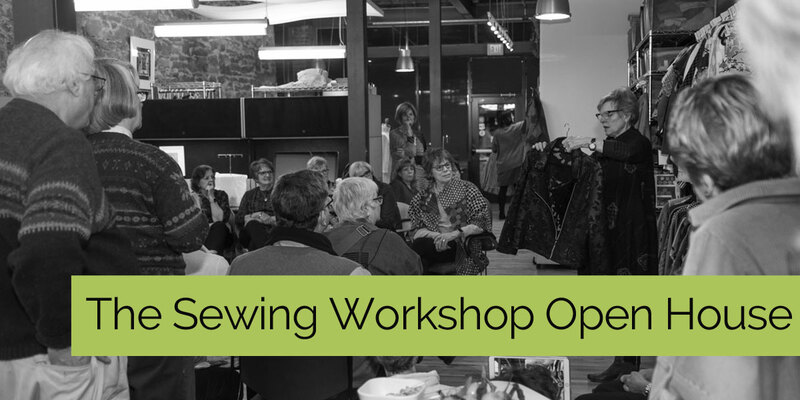 To mark the occasion, we decided to host another first: a Sewing Workshop Open House! Despite the terrible weather, our workshop guests, friends and neighbors all made it out for a fun night in the studio. Many of our guests were dressed in their favorite Sewing Workshop garments, which we captured in our photo booth, and everyone enjoyed a trunk show led by Linda. Click through to see pictures from this fabulous night! Two of our Fractured Jacket Workshop participants finished their project - just in time to get them photographed! On the left, Samantha layered a bold silk over white linen, and Gerri’s jacket on the right combined a patterned ponte knit and fuschia English boucle. 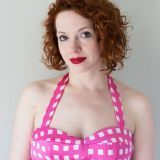 ​Our favorite part of every workshop or event is seeing your versions of our garments. Our guests really styled themselves up for the party - some folks even had a change of clothes! ​The rest of the evening was filled with a presentation by Linda, lots of chatting and of course fabric shopping! Flip through to see more pics from the party. Make sure you don’t miss a thing. Complete the simple form below and click “Sign Up” to subscribe to our blog. Click here to review details for caring for your fabric.